Onstage control of your mic on/off. 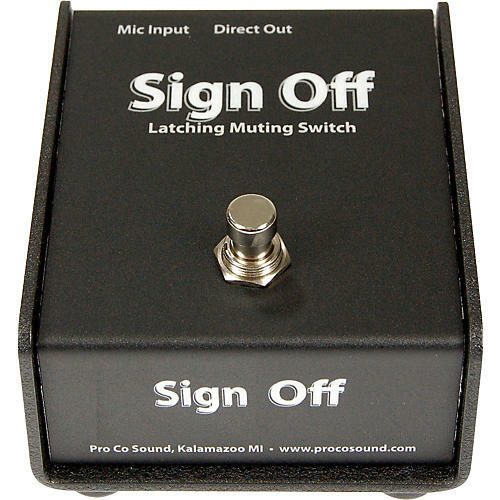 The Pro Co Sign Off is a latching mic-mute footswitch. Step on the switch to turn mic off. Step again to turn the mic back on. It is positioned inline between the mic and the board (plug mic into Sign Off; plug Sign Off into sound system). Especially handy for singing drummers and others who require a latching switch. Switchable for use with condenser or dynamic mics. Turn your mic on or off with a foot tap. Order the Pro Co Sign Off today.